Twila Z. (Roadman) Doerzbacher, 87, of Sun City West, Ariz., formerly of Greensburg and East Greenwich, R.I., died Sunday, Dec. 2, 2018, in the Del E. Webb Hospital. She was born in Stahlstown, May 26, 1931, daughter of the late Dale and Gertrude Ravenscroft Roadman. Twila was a graduate of Westmoreland Hospital School of Nursing and was a retired nurse for Westmoreland Hospital. She also had been an active member of the Westmoreland County Nurse's Association. In addition to her parents, she was preceded in death by her husband, Fred J. Doerzbacher. She is survived by her two children, Dawn Mortellaro (Tom), of Surprise, Ariz., and Jeff Doerzbacher (LuAnn), of Spicewood, Texas; two grandchildren, Kayla Mortellaro and Jonathan Doerzbacher (Savannah); and several nieces and nephews. Relatives and friends are invited to celebrate the life of Twila from 5 to 8 p.m. Monday in the CLEMENT L. PANTALONE FUNERAL HOME INC., 409 W. Pittsburgh St., Greensburg, PA 15601, 724-837-0020. A funeral service will be held at 10:30 a.m. Tuesday in the Pantalone Funeral Home. Interment will follow in Twin Valley Memorial Park, Delmont. In lieu of flowers, memorial donations may be made to the Jimmy V Foundation, 14600 Weston Parkway, Cary, NC 27513 or St. Jude Children's Research Hospital, 501 St. Jude Place, Memphis, TN 38105. 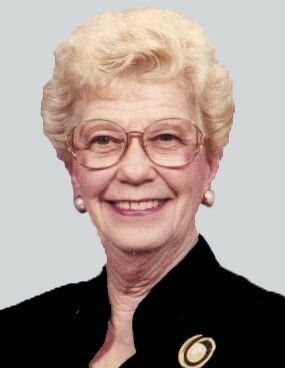 Twila's family has entrusted her care to the Pantalone Funeral Home Inc., Greensburg. To share your memories and photos, offer your condolences or for directions, please visit us at www.pantalone.com. Natale N. Pantalone, supervisor.